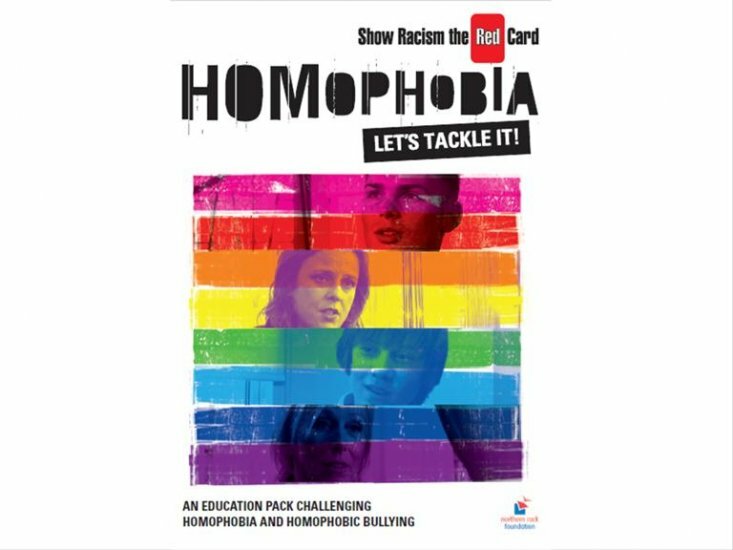 Funded by Northern Rock Foundation, Show Racism the Red Card launched a new DVD and educational resource pack in early 2012 focusing on Homophobia. The DVD ‘Homophobia; Tackle it’ and educational resource pack went on sale through our website in April 2012 and was launched at events held in London, Newcastle, Glasgow and Cardiff. “...it is valuable to show a range of sports people expressing positive attitudes to colleagues coming out as gay or lesbian...” they went on to say that many of the group had actually experienced similar victimisation as depicted by those featured in the DVD. The DVD created a lot of discussion for the group around the issue of Homophobia and use of the word “gay” in a negative context. It was felt to be a very important resource to have in schools. Another of those using the resources for the purposes of staff training said “The DVD [also] has some excellent downloadable resources which are really useful for schools, often when the training is over they find it difficult to translate what they have learned into activities they can do in the classroom or youth group, this fulfils that need”. As well as this we have had glowing reviews from the Trades Union Congress and Barclays Wealth, see the ‘tackling homophobia’ area of the website for their comments. This resource is available to purchase from our online shop in the ‘resources’ area of the website. Thanks go to Louise Evan-Wong from LGBT Fed for her great support in getting the DVD and education pack widely promoted throughout the North East of England.